Bullhook Community Health Center (BCHC) is an equal opportunity employer. BCHC shall, upon request, provide reasonable accommodations to otherwise qualified individuals with disabilities. JOB SUMMARY/DESCRIPTION: The Clinical Psychologist (CP) works from a team based care approach which supports clients and their families through an integrated methodology that aspires to provide the highest quality of care. CP will be responsible for conducting comprehensive Bio-Psycho-Social evaluations, collaborate with the health care team and the clients to incorporate behavioral health knowledge and practices into the clinic workflow to support self-management, self-efficacy and behavior change to children, adolescents, and adults. Formats for therapy can include, but are not limited to, Brief Interventions (BIs), traditional psychotherapy with Groups, Individuals, couples and families. Program development: The Clinical Psychologist may exercise leadership in shaping a response to patient/client needs. Activities might include, but are not limited to workflow, process creation and adjustments, training of students, BH and/or all staff, assistance in writing proposals for funding, and/or designing new groups and programs. Functions in a capacity as lead on consulting with behavioral health team, clinic staff advising, as well as performing and/or referring for psychological assessments and testing. Licensed by the State of Montana to practice psychology. A minimum of 1-year practice experience. Newly licensed clinicians welcome to apply. Language – Fluency in Spanish and English required, writing and presentation skills in Spanish preferred. A working knowledge of behavioral medicine and excellent working knowledge of evidence based treatments for medical and mental health conditions (including emotional, behavioral and substance abuse issues) geared to individuals, children, couples, and families. 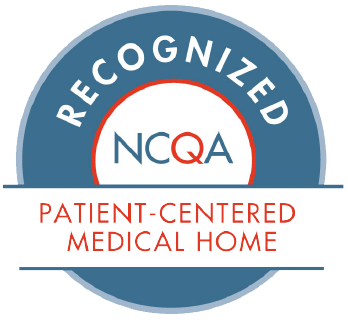 Must work well with other patient care team members during slow and fast paced times, while providing services in a variety of settings (exam rooms, group rooms and counseling rooms). Ability to work through brief patient contacts as well as to make quick and accurate assessments of mental and behavioral conditions during. Ability to collaborate with medical providers in the treatment of psychosocial issues. Sensitivity to low income and ethnic minority community a must. Provides psychotherapy to individuals, families, as well as groups. Assess clients/patients to determine appropriate level of treatment in accordance with relevant ethical and legal standards. Provides services appropriate to the age-specific needs of all patients, as well as their families, in accordance with the principles of growth and development for infant, child, adolescent, adult and geriatric life cycles. Conducts and completes psychological and diagnostic testing to measure cognitive abilities, diagnosis of developmental and intellectual disabilities, and prepares written evaluations. Conducts mental health screenings utilizing standardized instruments. Provides PCP-initiated consultation services that may include differential diagnosis, psychoeducation, brief intervention, referral for further treatment, etc. Consults with and advises other health care team members on the methods of assisting patients and their families in overcoming social and emotional difficulties which may prevent effective health care. Follow procedures for the electronic health records system. Manages psychosocial aspects of chronic and acute diseases. Facilitates groups such as parenting, marital relations and or stress management. Creates written material for use in psychoeducation of patients referencing established, peer reviewed, and evidenced based practices. PHYSICAL AND MENTAL REQUIREMENTS: Work is performed in an office and clinic setting; stands, walks with intermittent sitting; reaches for and uses writing instruments and keyboard; reads reports and other written materials; extensive use of telephone and oral communication with the public and coworkers; stoops; bends; kneels; reaches for; picks up; and pushes or pulls; ability to lift to 30 pounds. MENTAL/SENSORY: 3 Strong Recall 3 Reasoning 3 Problem Solving 3 Hearing 3 Seeing/Sight 3 Talk/Speak Clearly 3 Write legibly 3 Reading 3 Concentration 3 Logical Thinking EMOTIONAL: 3 Fast pace environments 2 Steady pace 3 Able to handle multiple priorities 3 Frequent & intense customer interactions 3 Able to adapt to frequent change 3 Works under deadlines 3 Process complex info 3 Works as part of a team. Team Approach: Managing patient care is a team effort that involves clinical and nonclinical staff (i.e., physicians, nurse practitioners, physician assistant, nurses, medical assistants, schedulers, billers and front end staff) interacting with patients and working as a team to achieve stated objectives. Emphasis is on ongoing interactions of team members to discuss roles, responsibilities, communication and patient hand-off, working together to provide and enhance the care provided to patients. All staff are members of the team. Involvement of the patient/family/caregiver with care team members is critically important to patient-centeredness. Knowledge, Skills and Abilities (KSA’s): Demonstrated ability to work as a team player with strong emphasis on delivering patient satisfaction. High level of skill in interpersonal relations and problem solving. Good organization and time management skills. Computer skills, familiarity with Microsoft Office Programs and electronic medical record systems.